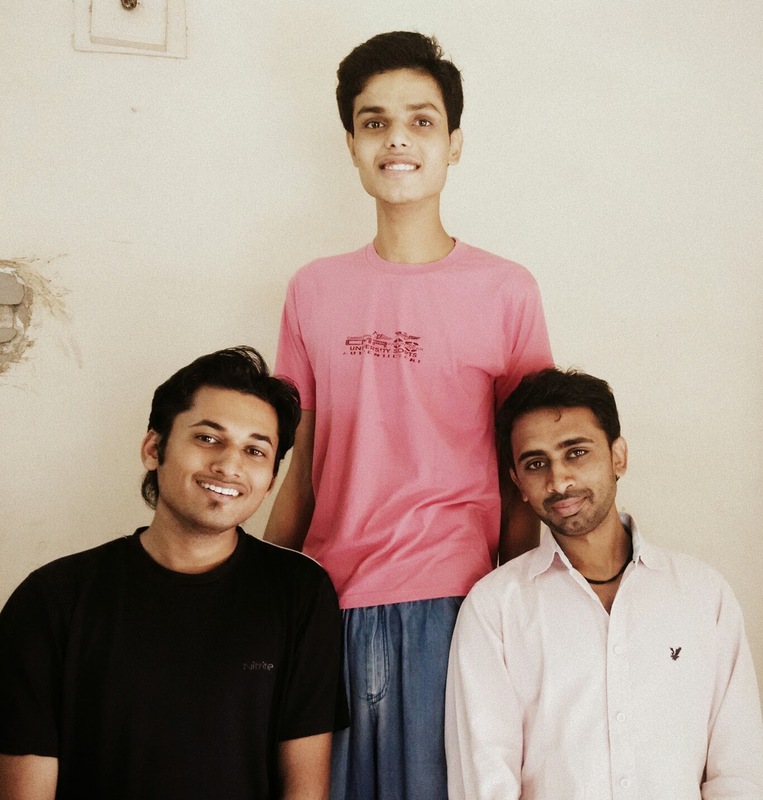 On 12 January 2014, The Tribune reported Sangam Khandelwal to be 7'2" (218.44 cm) tall and still growing, being in his late teens. On 10 June 2014. Sabgam Khandelwal was from the Gujarat state of India, Dahod district. He was photographed for The Sandesh on 25 September 2014 at a rally held by the Indian TMS. Said again to be 7 feet 2 inches tall, he has however been reported otherwise to be an unconfirmed 7 feet 1 inches (215 cm), and born in 1995 was most likely no longer growing. Sangam Khandelwal could have been considered the City's tallest living Boy but the Limca Book of Records has strict verification criteria and did not yet measure Sangam Khandelwal. He also had been said to have hands 13 inches long and feet 19 inches long, and appears in photographs to be proportionate/not obviously a pathological (acromegalic, for example) giant.